I am always looking for new and helpful ways to live chemical free. 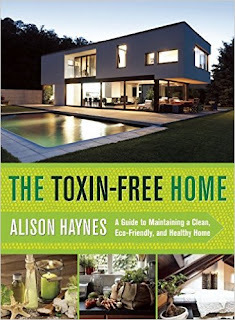 Toxin-Free Home is a great book. It is a excellent reference tool to use to solve everyday home needs. With the amount of junk a family can amass, it seems impossible to keep a tidy home. Home Detox Handbook teaches you how to tackle every cleaning project in your home with ease, from washing stained laundry to scouring kitchen cupboards to creating your own shampoo from household ingredients. The methods presented are not just simple, they are also natural, eco-friendly replacements for store-bought, chemical-filled cleaners. And who wants to subject himself to all the chemical cleaners it takes to keep germs at bay?Alison Haynes has created a comprehensive guide to keeping your home not only sparkling, but also healthy, organized, and running efficiently. Organized by room, each chapter has easy-to-follow instructions for any household query. With 200 color photographs and step-by-step instructions, Home Detox Handbook is your one-stop resource for eco and child-friendly solutions to your cleaning needs. From cleaning hardwood floors to getting gum out of hair to reviving limp flowers, this book will help you keep all corners of your home in its best shape. It’s a must-have for anyone managing a household or living on their own for the first time. Alison Haynes studied law before deciding to write full-time. She has been widely published in magazines and has written several books. She lives in Australia. I love finding new ways to cut harmful chemicals out of our lives, too! Sounds like a great book! There was a study recently that showed how air fresheners can be carcinogenic, it's insane to think how much everyday products can affect our health, and it's only ever for the worse! Laura, that is absolutely frightening! I love my air fresheners and never even thought it could be a carcinogenic. We try and use more natural products when we clean...I react badly to strong chemical smells. This definitely sounds like a great read! I know I'd learn so much about more natural alternatives to keeping our home tip top. I really like using essential oils more and more! This sounds like a great resource. We all need to find ways to get rid of all the chemicals in our lives. I think it's amazing the things that are ABLE to be done now a days. We have so much knowledge to help us keep our homes as safe as we can. My husband is a respiratory therapist so he is super keen on trying to make sure we are breathing the best air we can be. There seems to be a lot of great suggestions in The Toxin-Free Home. I like ideas where lavender oil is part of a solution because it smells so good. We are working hard in our household to cut toxins down for the sake of our kids and our own health! I like these natural alternatives - I get a bad reaction when I inhale most cleaners. This sounds like a fantastic read. One I clearly would love to know more about what is lurking in my home. I too have been more commited to natural cleaning methods. Vinegar is great for so many things and toothpaste works really well to polish silver! I like non toxic to clean with. We use petroleum jelly also. This sounds great. I also try to use as little toxins in my home as possible. I may have to check this out to see if I can learn a new thing or two. If it could be that easy. So your home now is toxin free but your neighbor's home is full of crap. I guess just don't leave home! Sounds like a great book. Especially for us who have allergies and sensitivities. This looks like an awesome book! I use the peppermint oil trick to keep the spiders at bay at my house! This sounds like a great book. 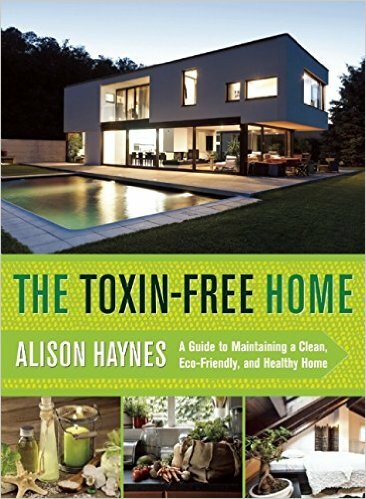 I would love to try getting toxins out of my home, so I am definitely going to have to check this book out. This sounds like a really good book to have around the home! For sure. I am all about making the home as safe as possible! This will be a great book for me to read. I have been trying to eliminate as many chemicals as i can in my home. I will have to pick up a copy tomorrow. This sounds like a great book for me. I have really been trying to switch to natural cleaning methods as much as possible. I use vinegar and essential oils among other things to get rid of toxic cleaners.